It is true, I am not sleeping for worry about the future of the Drill Hall. We have such an amazing team who are working tirelessly to keep this vital venue open at the heart of our city. So I was delighted to read in my Lincolnshire Echo (see below) an article written from an interview I gave on BBC Radio Lincolnshire. My delight was at the accuracy of the reporting and that fact that I had obviously said what I really wanted to say! (not always the case on a live interview). So, what were these things I really wanted to say? 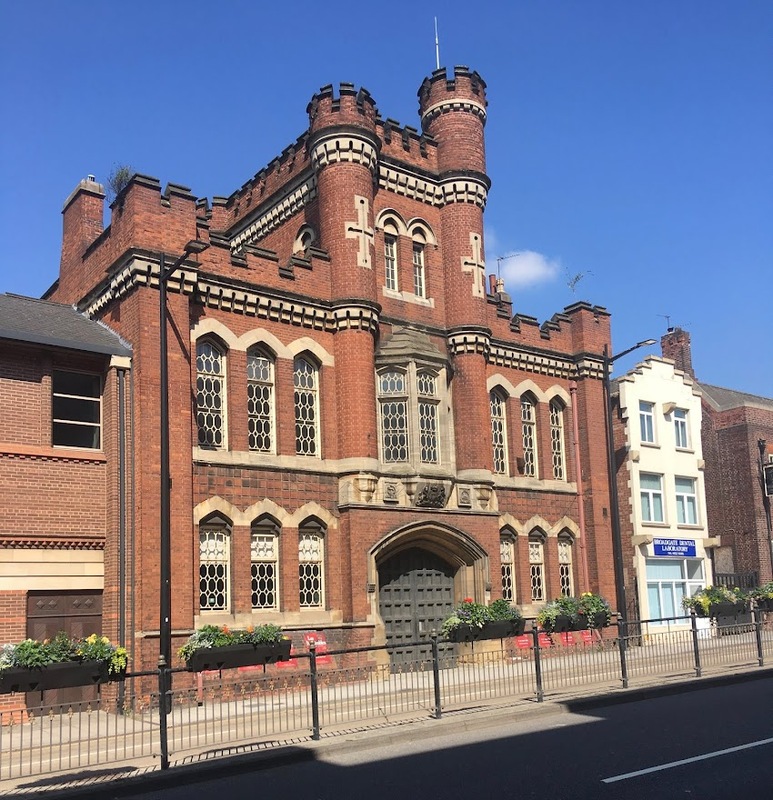 "Lincoln Drill Hall being a place for the people of Lincoln has continued for the last 130 years." Peter Hennessy writes: Putting up prices is not an option according to Mr Hamlyn Williams. 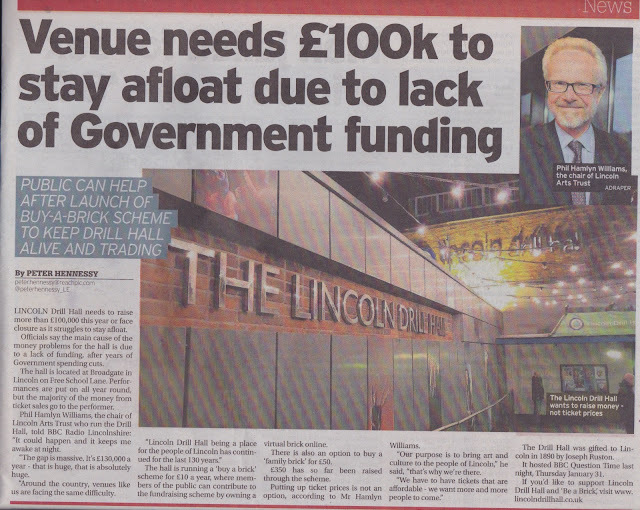 "Our purpose is to bring art and culture to the people of Lincoln, that's why we're here. We have to have tickets that are affordable - we want more and more people to come." My predecessor as chair of trustees, Phil Cosker, puts it brilliantly in the animated video on the website. I have also written on Why it matters, on The Proms, on CompassionateLincoln Big Soup (next one 23 February), on Lincoln in WW1 and on some wonderful memories from years gone by. That's why we are asking people to Be a Brick and Buy a Brick.